As the technology that creates a distributed ledger, blockchain is creating significant waves of disruption in industries, processes and business models revolving around the centralization of trust. This is far broader than just crypto currencies; this technology offers the potential to create autonomous corporations, change the nature of border control and identity management and otherwise disrupt agents reliant on being the central source of truth. Individuals, organizations, and government agencies must consider the potential impacts of blockchain on their business model and begin to plan their strategies. Block chains are distributed databases, using sophisticated cryptography and consensus to ensure end-to-end transactional integrity without the need for a trusted central party. Public blockchains deliver participants an immutable history of all transactions stored on the database. This permanent record, visible to all actors, overcomes the ‘double spend’ problem of digital goods by enabling buyers and sellers to instantaneously verify that funds and goods are available when executing a transaction. In simpler terms, what bittorrent did for file transfers, blockchain can do for trust. Consider a time without banks, governments or other central institutions to enforce trust among unknown actors. Proving ownership in this world would be a constant challenge. Imagine that Alice and Bob own neighboring farms. Their relationship is somewhat acrimonious given that Bob covets Alice’s cows. Now imagine that Alice wakes one day to find that Bob has stolen one of her cows. Even though Alice and Bob both know the truth of the matter, proving this to Chris, an impartial third party and local enforcer, is near impossible. Even if Alice could produce evidence of ownership, in the absence of a trusted counter-party Bob can always insist that the records were falsified. Equally, Bob could invent his own papers to “prove” ownership. Without clear evidence, the best Chris can do is to listen to both parties and make a subjective judgment. Trading things of value in this world would be fraught with risk; even relatively simple exchanges could be faked or otherwise repudiated. One solution would be to centralize trust into a single arbiter. This arbiter would be responsible for maintaining a central book of cows. Whenever a trade takes place, the trading parties would meet with the arbiter who would witness the trade and update the book. Proving ownership would simply involve asking the arbiter to check their book. While a good solution, the model of a central arbiter of trust is not without its own problems. The person who manages the list could be open to corruption or bribery. There could be deliberate or accidental errors in the ledger, incorrectly allocating cows to the wrong individuals. As a natural monopoly, they may be inclined to rent-seeking behavior, charging exorbitant fees for their services. They may only be available for certain times during the week, delaying transfers based around their own convenience. Ultimately, the success of the system is entirely dependent on the trust that traders place in the person managing the book. An alternative solution to centralizing trust is to distribute it. This would ensure that every exchange is witnessed by a minimum quorum of people from the town. Once witnessed, they would cross-reference and validate them on the spot and then note the transfer in their personal trade book, and distribute a copy of the update to everyone else in the town. This distributed-trust model overcomes the key problems with the central arbiter. The bribery and corruption risks are addressed by distributing the transaction approval authority among the quorum. Mistakes and outright fraud are prevented by transactions being validated and approved by the group before being committed to the book and copies of the book accessible to all parties at all times. Removing the central authority also removes their ability to charge monopoly fees for their services, making cow trading more efficient. Finally, this model improves convenience as trades can take place at a time convenient to the buyer and seller, without being reliant on the keeper of the ‘central book of cows’ being awake and available. In this system, trustworthiness is independent of any single one of the participants. In fact, the system continues to work even when everyone actively distrusts each other! A public blockchain mirrors this distributed trust model. It’s often called a distributed ledger, a fancy way of saying that every record is shared by everyone who’s involved in any given blockchain. Participation is open to any interested party and updates can be triggered by anyone but need to be validated by a majority of participants before they’re written to the blockchain. And, as every update is dependent on one earlier in the ledger, it creates a lineage of transactions; a “chain” of “blocks”, if you will. The nature of this lineage makes the ledger inviolate. Because updates are chained, dependent on prior ones, and validated by consensus, falsifying prior transactions is impossible without controlling a majority of peers within the blockchain. Private blockchains are equally feasible. Rather than being a decentralized database that can be updated by anyone, one or more central parties control who has the ability to update the ledger. These private blockchains gain transactional speed by having fewer parties needed to achieve consensus. However, they lose openness, distributed trust, and their resistance to falsified records through sheer scale of client participation. Both models enable different forms of product and service innovation. To many, blockchain and Bitcoin are indivisible. Originally outlined in a paper written in 2008 by Satoshi Namakoto (likely a pseudonym), blockchain provided the public distributed ledger that allowed users to record transactions carried out in Bitcoins. An open source implementation of Bitcoin, including the blockchain database, was released in 2009. Using a peer-to-peer framework, Bitcoin provided users with a de-facto digital currency. One of the first cryptocurrencies, Bitcoin’s true innovation has been through being the world’s first decentralized digital currency. Since its introduction, Bitcoin and other cryptocurrencies have proved highly controversial. Transactions are tracked not by personal identity, but by an arbitrary Bitcoin “address”. As many addresses can be generated within a wallet as desired. 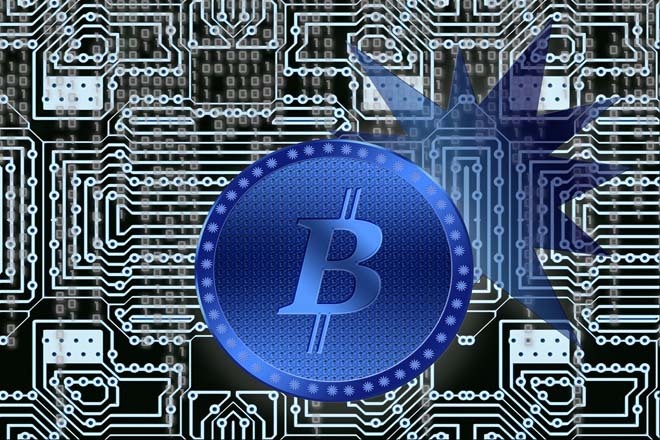 This pseudonymity initially made Bitcoin an attractive platform for money laundering and the exchange of illegal goods such as guns and drugs, most famously through part of the dark web called the Silk Road. Since 2013, increasing numbers of mainstream websites have started to accept Bitcoins including OKCupid, Expedia, and Microsoft. While blockchain was invented as a part of Bitcoin, the architecture is independent of Bitcoin and has been repurposed for other uses. The blockchain involves two concepts: transactions and blocks. Transactions are the items of interest to be noted within the ledger. In the case of Bitcoin, they represent any transfer of Bitcoin from one address to another. Once executed and broadcast across the network, these transactions need to be registered, validated, and distributed. Blocks are permanent records of transactions. To create a block, peers on the network (also termed “miners”) compete to solve a computationally difficult mathematical problem. These problems are designed to be hard to solve but fast to check; once solved, any peer on the network can validate that it’s a correct solution. Being the first to solve one of these problems awards a Bitcoin “prize” along with the right to submit a new block to the network. Transactions not yet recorded are encoded in a new block along with a hashed reference to next most recently calculated block. This block is then distributed across the network, checked for validity by other peers and if correct, added to their ledger. To avoid over-production of blocks on the network, the difficulty of these problems are scaled over time to ensure an average of 6 problems solved per hour. In the event that two or more miners find a solution simultaneously thereby forking the chain, the network will detect this fork and prune one branch. This lineage creates a chain that dates back to the very first transaction, hence the name “blockchain”. Every peer within the network has at least a partial copy of the blockchain contained in their personal ledger. Equally, every peer has the ability to validate transactions, update their own ledger, and pass updates on to other peers within the network. As a system, the blockchain provides financial incentives to participate along with eliminating the need for a trusted counter-party to validate transactions. False transactions inserted into the network will be immediately rejected unless a majority of peers have already been compromised. In short, the blockchain provides participants with a distributed database that can be updated by anyone but also validated by all prior to committing any updates. Once committed, the ledger is immutable unless a majority of peers within the network are compromised. And, it can do the above without the need for a central controlling agency. Blockchain is important because it represents the latest in an ongoing trend towards decentralization, disruption, and disintermediation. It promises to disrupt business models and processes reliant on centralized trust. While it’s unlikely to lead to existential threats to specific industries, it will almost certainly force moderate to significant change to many business models. One of the cornerstones of digital disruption is the decentralization of control, starting with the invention of the Internet. Open and standardized network and communication protocols like TCP/IP, HTTP, and SIP shifted the network away from point-to-point systems with embedded applications towards mesh-based systems with generalizable applications. Rather than being constrained to what the network operator would let you do, these protocols allowed individuals to re-purpose the network as they saw fit. Prior to the Internet, communication was centrally controlled. Voice calls were managed and routed by telecommunications companies like AT&T, online presence was coordinated by networks like CompuServe and Prodigy and media was created and distributed by broadcasters like Time Warner Cable. By decoupling the software from the hardware, the software ‘ate the network’. Rather than being reliant on assets controlled by a vertically integrated supplier, any peer on the shared network could create their own equivalent communication services using agreed standards. This led to large-scale disruption. Fixed-line telephony has been cannibalized by voice over IP services. Expensive purpose-built video-conferencing services have been cannibalized by low-cost consumer applications like Apple FaceTime and Google Hangouts. It eventually led to the decentralization of content creation, allowing anyone with a camera, and keyboard, and an Internet connection to broadcast their thoughts to the world. Technologies like bittorrent led to the decentralization of content distribution, enabling large-scale file sharing and the rise of general public piracy. In every case, decentralization has led to disintermediation and disruption. The shift of control from the center to the edge decreases the need for the center and in doing so, disrupts established business processes. This creates both opportunities and threats. Blockchain represents a technical solution for the decentralization of trust. Industries, processes, or business models that are heavily reliant on the centralization of trust for either competitive advantage, sustainability, or success are all under threat. Those who operate in these spaces need to start strategizing now as to how they will either mitigate the risk blockchain presents or take advantage of the disruptive nature of blockchain to radically simplify their operations. Equally, industries, processes, or business models that were previously infeasible because of the impossibility of a centrally trusted agency are now viable. Those who are interested in capitalizing on adjacencies for competitive advantage should be actively looking for ways that decentralized trust might extend their business model. What makes a good or bad use of blockchain? Despite being a truly innovative technology, blockchain is not a magic bullet. While it offers the ability to decentralize trust, it also has inherent limitations. Public blockchains’ two biggest limitations revolve around scalability and privacy. Blockchain’s distributed validation model relies heavily on high computational costs. While these increase the barriers against transactional falsification, they also reduce the throughput of the network. Compared to current commercial transactional processing systems, blockchain is orders of magnitude slower. It remains to be seen whether blockchain can be adapted to achieve these levels of scale. Another key limitation is privacy; because the ledger is shared between every peer, it follows that every peer can in principle see every transaction that has ever taken place. While the chain is pseudonymous and only contains arbitrary identifiers rather than personal details, it is technically feasible to externally link an individual to an address. If an individual were to transfer an asset to someone they were interested in profiling, observing the resulting transaction in the shared ledger would allow them to determine the other individual’s address. And, once determined, they would be able to identify every asset owned by that address. 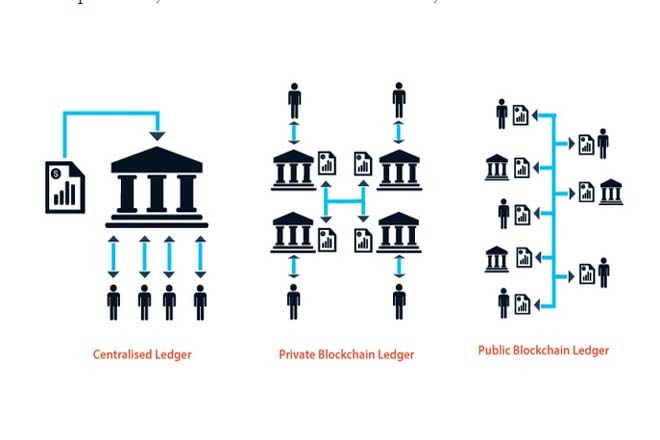 While there are recommended practices to mitigate this risk such as inserting encrypted data into blocks, managing addresses through a broader wallet and using one address per asset, the ledger containing blockchain is inherently public. Depending on the use case, this may present an infeasible problem. If a shared database is not needed, existing relational databases are still a more effective solution. If a single entity can be responsible for updating the record across organizations, private blockchains may be suitable. Equally, if transactions are all completely independent, there’s no longer a need for a single chain; the database could simply be fragmented and cross-validated as needed. If the above conditions are met, blockchain threatens disruption where the elimination of the central validating agency would create either a cost, efficiency or feasibility advantage. As a new and portable technology, this disruption applies not only to currency and financial services but other markets as well. In the case of Bitcoin, disintermediation was initially driven by the market desire for a pseudonymous non-centrally controlled currency. As the cryptocurrency gained momentum outside of its original niche users, governments and financial institutions were forced to adapt legislation and services to changing conditions. Blockchain can be used to establish webs of trust based on person-to-person identity confirmation. Individuals with validated identities can “share” their trust with people they know. Areas likely to be affected include online applications, citizen control and border management, and credit-related business. Emerging businesses in this space include BitNation, Onename, and ShoCard. The combination of an inviolable ledger with an autonomous decisioning rule sets or ‘smart contracts’ and investment capital offers the potential for self-governing corporations involving no direct human control. Being distributed and having eliminated the need for trust between investors, they are incorruptible. Areas likely to be affected include natural monopolies such as telecommunications and public networks, investment funds, and not-for-profits. Emerging businesses in this space include Invictus Innovations, the Nu Network, and Ethereum. The ability to transfer rights and control between parties can be generalized beyond currency to other digital assets. When combined with private key encryption and distributed file sharing technologies like bittorrent, these platforms might mitigate the risk of losing access to digital assets in the event of a bankruptcy. Areas likely to be affected include content creation and distribution, gaming and bookmaking, and software. Emerging businesses in this space include PlayCoin, ArtPlus, and New System Technologies. The inviolable nature of the blockchain offers the potential to prevent for voter fraud. Areas likely to be affected include governmental-ly-controlled elections and democratic proceed-ings, boards, and data collection / surveying technologies. Emerging businesses in this space include Follow My Vote and BitCongress. Allocate investment funding and form a core team to assess the implications for your business and plan your responses. A useful model for assessing the threats and opportunities to your particular business model is to look at the key problems with the centralized trust model that blockchain helps to overcome and the new entrants competing in these spaces. Convenience: The Australian Stock Exchange has initiated a partnership with Digital Asset Holdings to trial a blockchain-powered replacement for its CHESS trade settlement system. Develop your scope for a limited pilot experiment in one arena of your business to better understand the details of the technology and how it could impact your business processes and your interactions with customers and suppliers. Use this pilot to explore a thin-slice of your business model using decentralized trust and the appetites for this from your customers and your regulators. Embrace this feedback as you continue to evolve your blockchain engagement strategy. Wall Street Blockchain Alliance: Non-Profit Trade Association, aiming to educate finance market professionals and drive forward the adoption of these new technologies to deliver business value in new and unrealized areas. Many national governments and global bodies such as the IMF have also established discussion groups around this field that provide an opportunity to engage in the debate as it pertains to your field within the Financial Services arena.